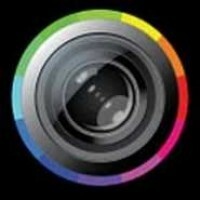 FxCamera is a straight shooter; it does what it says and does it to its maximum potential. If you need any proof, just check out the download numbers, which should speak for themselves. Created by ymst, the developer might got close to a fail when it comes to his previous creation, but has scored gold with FxCamera, a brilliant job to say the least. Personally, this is one of those few apps that gel into the whole Android ecosystem without breaking a sweat. The app provides some very stunning camera effects that completely eliminate the need of any extra editing. The effects look crisp, nice, and subtle, making this a perfect package of fun and productivity. The FxCamera effects include ToyCam, Polandroid, Fisheye, SymmetriCam, Warhol, Normal. Compared to the original camera resolution, FxCamera shots lessens the resolution, but maintains a good quality for social-network sharing, which is a good thing after all. Overall, this app really makes the cut for every Android user who is heavily into editing pics and adding that panache touch to them. A great idea and work by the developer.